GEEE Admit Card 2018: Galgotias University has Released GEEE Admit Card for Engg Entrance Exam. After successfully applying against GEEE Admission 2018, candidates can now download the GEEE Hall Ticket through online mode. Galgotias University is going to conduct Galgotias Engineering Entrance Examination on 15 June 2018 for those aspirants who want to get admission into undergraduate engineering programme. Candidates can now download Galgotias University GEEE Admit card. Applicants will be able to download Galgotia GEEE Admit Card by filling the necessary details like Registration Number, DOB etc. With the help of this page aspirants can Directly Download Admit Card of GEEE by pressing on provided links. Candidates have to carry GEE Hall Ticket along with other relevant testimonials while appear for GEEE Exam 2018. You can go through this page to get complete details of GEEE Admit Card 2018 which is well created by the team of www.privatejobshub.in. First of all you have to visit the official website of Galgotia University that is www.geee.in. After reaching on the home page you have to hit on “GEEE 2018” link which is visible at middle side of page. At last you have to take print of the Galgotia University Call Letter and keep it safe for examination purpose. Candidate will be not allowed to appear for the Entrance Examination without valid GEEE Admit Card 2018. In the GEEE Examination hall, candidate should produce the Admit card when demanded by the invigilator. GEEE Examination Hall Ticket can be downloaded or received by email from the university website. GEEE Examination Admit Card will not be sent by post. Contenders shall retain their GEEE Admit Card 2018 for Admission GEEE counseling. Applicants shall be present at the examination center 30 minutes before the commencement of the examination. Any malpractice or attempt to commit malpractice in the examination hall or any violation of the rules will lead to disqualification of the candidate. Make sure you sign the attendance sheet in presence of invigilator. Individual will not be allowed to carry written material inside the examination hall. Contenders are not allowed to write anything behind the Admit card. Aspirants are not allowed to carry any electronic device like Mobile phone, calculators, cameras or any music devices. Candidates are not allowed to carry eatable items inside the examination hall, only water bottle allowed. Candidates who want to fetch more information regarding GEEE Admit Card 2018 are advised to visit the Official Link of the Galgotia University. 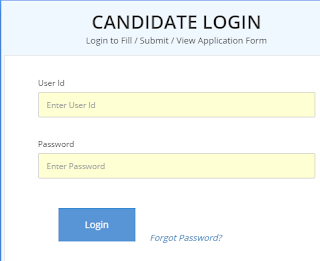 Also candidates are advised to stay connected with us on our web portal for getting latest updates about the same.